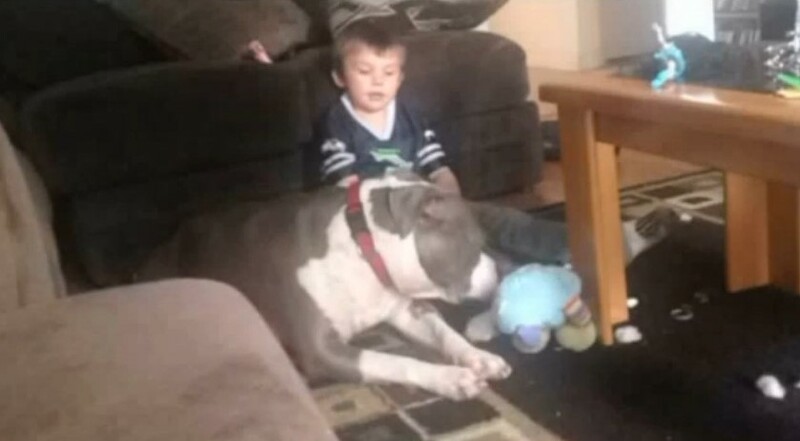 SEATTLE — Just a day after the family’s pit bull attacked her 4-year old son, a mother is sharing her side of the story: She says the dog never showed any sign of aggression before the unprovoked assault. She said Thursday that in the two weeks she had the dog, “Smash” got along well with her sons. “Smash was super cuddly, the nicest dog you would ever imagine, and never once snapped … never growled, nothing,” said Evans. That all changed Wednesday when Smash suddenly attacked Evans’ 4-year-old son, Gavin, at their Lacey home and went after his face. Evans said she tried to stop the dog, but it was too late. 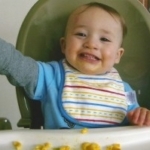 “When he bit my hand, I fell and then that’s when he attacked Gavin,” said Evans. 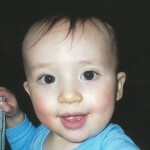 Gavin is now recovering at Harborview Medical Center. His mother said he has a broken jaw and missing teeth but is doing remarkably well since the attack. LACEY, Wash. – A 4-year-old boy was airlifted to Harborview Medical Center in Seattle with severe injuries Wednesday after he was attacked by his family’s 102-pound bulldog in Lacey. Deputies and medics responded to the boy’s home, in the 300 block of Trailblazer Street SE, at about 11:15 a.m. after receiving reports of a dog attacking a young boy, said Lt. Cliff Ziesemer of the Thurston County Sheriff’s Office. Arriving at the scene, medics found that the child had been severely bitten about his face. He was taken first to St. Peter Hospital in Olympia and then airlifted to Harborview. 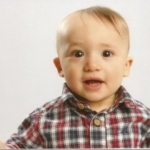 The child was in stable condition when he was airlifted and his injuries are not considered life-threatening, Ziesemer said. The boy’s 26-year-old mother also was bitten on the hand when she attempted to get the dog off her child. LACEY, Wash. — It’s been just over a week since he was attacked by his pet dog, and now 4-year old Gavin Evans is back home from the hospital. Gavin suffers from a broken jaw and missing teeth, but his mother, Alissa, said he hasn’t skipped a beat since returning to his Lacey home. He’s already running around and playing with friends. 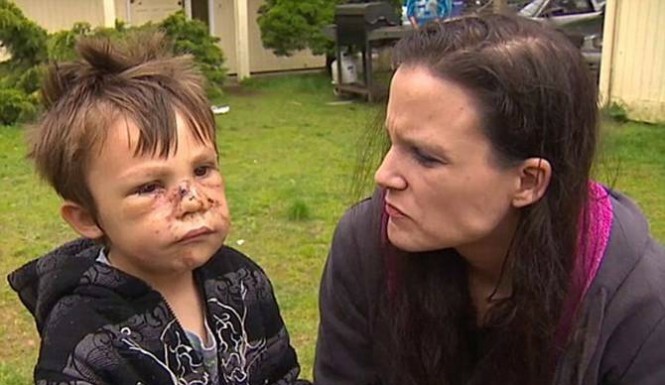 Gavin and his family had their pit bull, “Smash”, about two weeks when the dog attacked him in their backyard and ripped at his nose and face. Smash is now in his final days of quarantine, and is expected to be euthanized sometime next week. 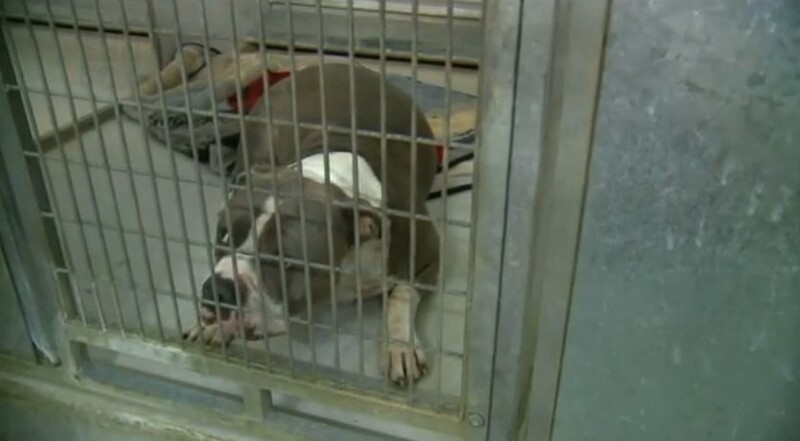 A 4-year-old boy is recovering after his family’s adopted pit bull brutally attacked him, mauling the young child and leaving him with life-changing injuries. Gavin Tobeck of Lacey, Washington, was attacked by the pit bull named Smash on April 1, according to the Daily Mail. The incident led to extensive injuries across the young boy’s face, as his cheekbone, jaw, and the bridge of his nose were broken. 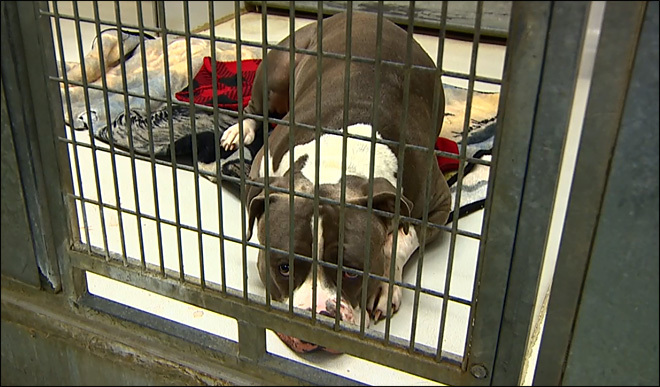 Tobeck lost five baby teeth and three adult teeth when the pit bull lashed out at him, an attack that was only stopped when a friend of 29-year-old Alissa Evans, the boy’s mother, threw hot coffee on the animal. Evans described the attack in stark terms, noting that she can no longer trust the dog. Doctors at first thought that Tobeck wouldn’t make it, as KOMO News reports, yet after a six-day-long hospital stay, the boy has proven them wrong. Though a rib was taken to fix his eye sockets, Evans notes that her son could have suffered far worse in the attack. 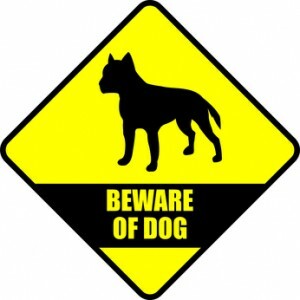 If the pit bull had wounded him just a millimeter further to the left, Tobeck would have been killed instantly. The preschooler has asked his mom to check and ensure Smash isn’t upstairs or in the backyard, Evans said. She tries to assure him that the dog will never be able to hurt him again. The family adopted the 102-pound dog March 16 from a friend of their neighbor. Smash is 1 1/2 years old; although authorities originally called him an American bulldog, Evans said he’s a “blue nose pit.” She added that he’s not registered and doesn’t have papers, but she knows he’s a pit bull. Susanne Beauregard, director of Thurston County Animal Services, said Smash is a “Pit Bull XL,” a line of pit bulls bred to be extra large. As of late Thursday, Thurston County Sheriff’s Office spokesman Lt. Cliff Ziesemer said the dog was still in quarantine, and would be euthanized “after they make sure rabies isn’t a factor.” Evans said her understanding is that it could happen as early as Saturday; Ziesemer said a firm date has not been set. “There are people who are trying to fight to get him,” Evans said. 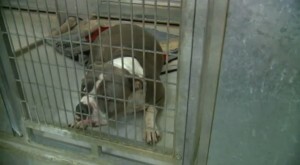 But Evans said she believes ending the dog’s life is the right thing because he turned so quickly on her son. Evans said Smash was raised with kids and had never bitten a person until last week. She said she was outside and only a few feet away from the dog and boy, who were playing in the backyard, when she saw something that she’d never seen before: The dog was ready to attack Gavin.